Naytronix is an evil dance band cloned from the stem cells of multi-instrumentalist/producer Nate Brenner. His songwriting style is deeply rooted in the traditions of the future, which few alive today know anything about. And while the compositions are geared towards the sinister post-apocalyptic dance colonies that are on the verge of sprouting up around the world, an undeniably timeless funk is woven into the Naytronix hit machine. Fashionable grooves merge with found sounds and homemade instruments to unsettling yet familiar effect, as humans play side-by-side with robots, intertwining in a nefarious tango until you don’t know where veins ends and circuitry begins. Rumor has it Nate Brenner himself is half robot. The parties of the 23rd century never end. 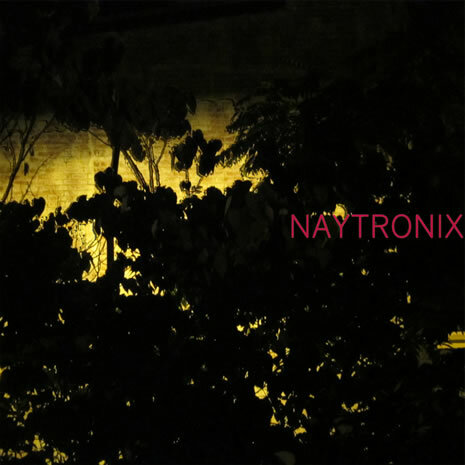 The world is bathed in the continuous dirty glow of evil summer twilight, and bands of 300 or more pick up anything they can hit and gather to play the music of Naytronix. This is pure speculation. Brenner has been called, “The Bootsy Collins of Oakland, California,” where he currently resides. He is a native of the synthetic desert cities of William Onyeabor, the vanguard estates of Charles Mingus, and the family manor of Sly Stone. As the bassist for genre-bending institutions tUnE-yArDs and Beep!, he is not a stranger to voyaging across his great many homelands and spinning platinum out of the resources he trades along the way. Naytronix is the confluence of these worlds as well as of the virtues of the past and the dark exuberance lurking in the future. Brenner conducts the show with the exactitude of a subtle supervillain. Let the evil dance party begin.